The latest clinical use of induced pluripotent stem cells excites researchers, but some fear the therapy will be rushed to market. Scientists in Japan now have permission to treat people who have heart disease with cells produced by a revolutionary reprogramming technique. The study is only the second clinical application of induced pluripotent stem (iPS) cells. Th﻿ese are created by inducing the cells of body tissues such as skin and blood to revert to an embryonic-like state, from which they can develop into other cell types. 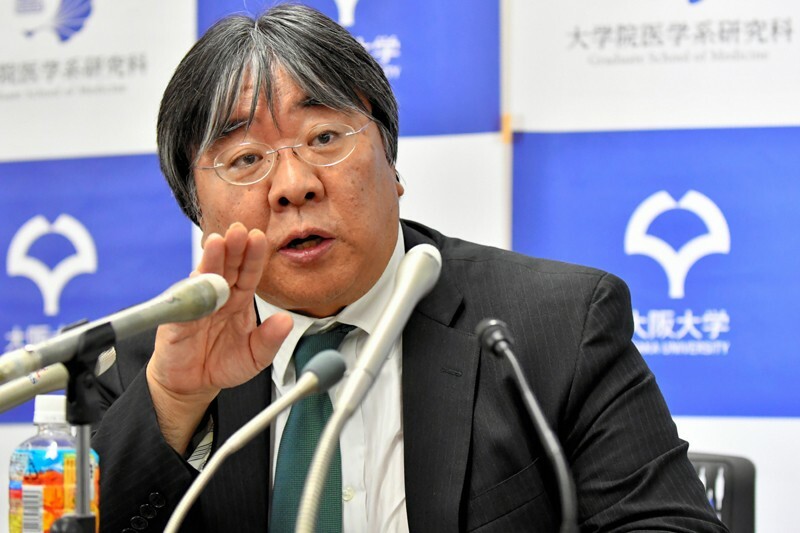 On 16 May, Japan’s health ministry gave doctors the green light to take wafer-thin sheets of tissue derived from iPS cells and graft them onto diseased human hearts. The team, led by cardiac surgeon Yoshiki Sawa at Osaka University, says that the tissue sheets can help to regenerate the organ’s muscle when it becomes damaged, a symptom of heart disease that can be caused by a build-up of plaque or by a heart attack. “It will excite worldwide attention, as many groups are working in the same direction,” says Thomas Eschenhagen, a pharmacologist at the University of Hamburg in Germany and chair of the German Centre for Cardiovascular Research. The treatment will initially be given to three people over the next year. The team will then seek approval to conduct a clinical trial in around ten patients. If it proves safe, the treatment could then be sold commercially under Japan’s fast-track system for regenerative medicine. The system, introduced in 2014, aims to speed the availability of potentially life-saving procedures. But critics say the system is flawed because it allows treatments to be sold to patients before sufficient data have been collected showing that the procedures work. In their technique, Sawa and his colleagues use iPS cells to create a sheet of 100 million heart-muscle cells. From studies in pigs, the team has shown that grafting these sheets of cells — each 0.1 millimetres thick and 4 centimetres long — onto a heart can improve the organ’s function. Sawa says that the cells do not seem to integrate into the heart tissue. He thinks that instead they release growth factors that help to regenerate the damaged muscle. Scientists say one advantage of the sheets is that they create their own cellular matrix, and can maintain their structure without the need for scaffolding made from foreign materials, a feature of some other engineered tissues. “It is a very elegant and clever way to deliver cells,” says Philippe Menasché, a cardiac surgeon at the Georges Pompidou European Hospital in Paris, who has also experimented with making tissue sheets. Pharmacologist Wolfram-Hubertus Zimmermann at the University Medical Centre Göttingen in Germany, who is also developing an iPS treatment for heart disease, says that the latest trial is based on work conducted by Sawa and other colleagues in Japan over the past 15 years. Once Sawa’s team has treated its three patients, it will apply to conduct a clinical trial involving a further seven to ten people. If the treatment proves to be safe, and shows some signs of working, it can be approved for sale under the accelerated system. This allows researchers to bypass expensive large-scale clinical trials aimed at proving efficacy, and instead to use small pilot trials to show that the therapy is safe and demonstrates an indication of efficacy. But some researchers say the bar for approving therapies for commercial use is too low. Even if the cells are found to be safe, there are risks associated with any surgery, and patients could give up other therapies for a treatment that might not work. Ethicists and regulators say that the benefits of any new therapy must outweigh the risks. Yoshiki Yui, a cardiologist at Japan’s Kyoto University, says that, as well as meeting the requirements for safety, researchers should show that their treatment is effective, which would require testing it in larger numbers of people than are currently required. The evaluation process should also use randomized, controlled clinical trials, the gold standard for demonstrating efficacy in medical research, he says. The iPS-cell therapy has potential, Yui adds, but under the current approval system, “we won’t know if it works or not” because it won't have been tested in a controlled trial. “The biggest problem is there’s no adequate system of evaluation in Japan,” says Yui. A spokesperson for the health ministry told Nature that the current approval system is sufficient because researchers must still show that a treatment works even if it has been approved for commercial use. Sawa agrees that a control group is important for proving efficacy, but notes that he is abiding by Japan’s rules, which don’t require this before a treatment is made commercially available. He says the health ministry’s approval is an acknowledgement that the therapy “is scientifically and ethically justified” to be tested in patients. “Whether it really works, [we] have to find out now,” he adds.